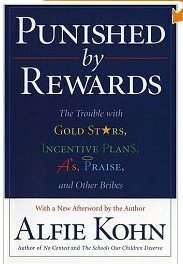 I've just finished reading Alfie Kohn's book Punished by Rewards. I found it very interesting. He approaches the use of rewards (and punishments) from a general position and then specifically within business, school, and parenting. Most of his arguments are supported with research (and when they aren't he plainly labels them as his opinions without documented research) with references and end-notes comprising 106 pages. I'll also probably be drawing on things I read in Nurture Shock and Drive which cover similar topics. I'm going to break this up into 3 posts because there's a lot to discuss and this way you might actually read it. This post will discuss Kohn's points on how behaviorist approaches result in self-centeredness and the unintended consequences of reward/punishment fixation. Part 2 will discuss the effect of rewards/punishment on motivation, and part 3 will go over Kohn's alternatives. My apologizes to Mr. Kohn if I misrepresent his arguments in any way. Unlike Erin's recent experience of an author's insistence that a technique will always work, Kohn is much more realistic in the respect that there are very few absolutes (if any) in human behavior and you can only really talk about generalities. However, if you're expecting to find a list of "things to do" to get your kids to behave you won't find it in this book. One of Kohn's pet-peeves (if I can call it that) is that people only want quick fixes. He is first in line to admit that punishments and rewards are quick fixes, but they're also temporary fixes with lasting negative consequences. He does not offer an alternative quick fix, but instead offers a much broader approach to situations typically governed by bribes or threats to effect long-term development goals rather than immediate compliance. While he goes into much greater depth on these subjects than I will, there were several things that stuck with me. His discussions resonated with my experiences and I really think he makes a strong case. I'm going to start this discussion in much the same way that Kohn does. What do you want your employees/students/children to achieve? 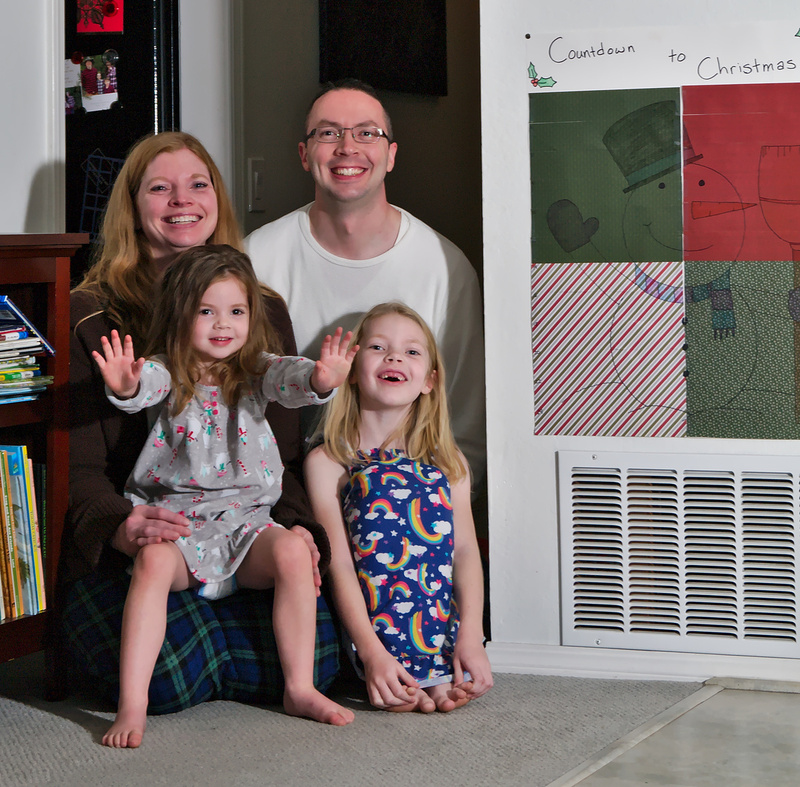 What are your goals for them? I'll come back to these questions in part 3, but Kohn's broad point (and the "too long; didn't read" version of the book) is that the vast majority of stated responses to these questions are directly undermined by the use of rewards and punishments. Before we dive in, lets quickly talk about what we mean by a "reward" or "punishment". Essentially, anything that imposes a positive emotion (reward) or a negative emotion (punishment) qualifies. This could be imposing or removing something pleasant, or imposing or removing something unpleasant. More explicitly, this could be inflicting physical pain, verbal scolding, verbal praising, giving toys, taking away food, giving gold star stickers, monetary bonuses, etc. That seems like it covers pretty much everything we might do as employers/teachers/parents. And, from Kohn's perspective, that speaks to the pervasiveness of behaviorism. We'll get to the alternatives in part 3, but for now we should point out that there is a component of intention and perception. If you intend your action to be controlling or manipulative then you will probably get some of the negative consequences. Also, if the subject perceives the action as controlling or manipulative you are probably going to see the negative consequences we'll be discussing. One of his arguments is that rewards and punishments (the classic behaviorist/Skinnerian approaches) create self-centered individuals. Everything is governed by how it affects "me." I don't steal because I'll go to jail. I do my homework because I'll get a good grade. I work hard so I'll get a bonus. If you ask a behaviorist to do something they are going to ask, "What's in it for me?". In a strictly behaviorist approach there's no discussion about others or a greater sense of ethics or morality. We are taught that we don't steal simply because we'll go to jail and we ignore the bigger picture of how stealing affects the person we're stealing from. We don't learn that we shouldn't steal because it unfairly deprives another person of their property. A natural consequence seems to be that if we only do things because of how it will affect us, then the moment we think we can get away from any negative effects, there's nothing stopping us. Why not steal if no one's looking and it's unlikely anyone will find out? I won't go to jail, there will be no negative result for me, and I'll end up with more money. It becomes much easier to rationalize this position if you've only learned to think about yourself and have never been taught to empathize with others or find greater moral/ethical reasons for your actions. The other side of this is that we learn to focus on the reward/punishment instead of the activity itself. People, in general, will begin looking for ways to bypass the hard part (generally the desired behavior) and just get the reward (or avoid the punishment). If we're taught to focus on good grades then cheating appears as a great way to avoid the hard work of learning, but still get the reward of the good grade. If we're taught to focus on not going to jail then we may look for ways to avoid getting caught instead of not doing something illegal in the first place. One of my favorite expressions of this type of reasoning was incredibly common throughout my high school and undergraduate experiences. The teacher begins discussing a topic and after a few minutes someone's hand goes up to ask, "Is this going to be on the test?". It's such a perfect example of focusing on the reward (getting a good grade on the test) instead of the thing that actually matters (you know, actually learning something). I saw this exact thing happen dozens of times. Now, I'd like to pause here for a minute to give you the perspective I'm coming from. I'm not here to argue against grades because I always did poorly and this is my way of making myself feel better by saying grades shouldn't really matter. Quite the contrary, I always did very well in school. I graduated high school at the top of my class as co-salutatorian. I went through my bachelor's degree on a full-ride scholarship. I'm certainly not saying this to toot my horn; I'm saying it to show that, as someone who succeeded in (and highly benefited from) the current system, I see a better way. A way which would serve everyone better and not just those of us that are adept at the specific school setting we went through.